The Park Police, on average, maintain an officer complement of 14 part-time sworn police officers; an additional 5 sworn police officers make up the Park Police Command Staff. 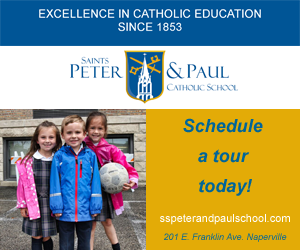 Mission Statement: To provide a high quality of service using the values of the Naperville Park District. The Park Police embrace customer service using the concept of problem-solving and the Community Policing Philosophy. Patrol Division: This unit interacts with the community most often. They are the first-responders to all calls and incidents at the Park District. The Park Service Officer (PSO) Corps also is a part of this division. They are assigned to monitoring duties at Centennial Beach and the Riverwalk. Bike Patrol: The Bike Patrol uses police mountain bikes to get from place to place and are responsible for patrolling the Riverwalk and bike trails. Event Security: We provide event security to ensure the safety of our guests at various events and activities. This includes events held at Naperville Park District facilities as well as community events. Riverwalk west end: sunrise-until 10:00 p.m. Ordinance 641 is the Park District governance of our parks and property and various usage issues of our parks and facilities. Specifically, the Ordinance addresses the following: golfing in parks, after-hours park usage, parking on grass, swimming, skating and fishing on our ponds, alcohol use and sound amplification, unleashed dogs, biking and skating, sales and vending, fireworks and weapons, encroachment issues and more. Parking and Traffic – ensuring that parking is controlled and organized so that available space is utilized to its maximum potential. Encroachment Investigations – investigating when debris is dumped on Park District property or when individual property is extended onto District property. Park Police enforces encroachment policy and ensures that these situations are handled appropriately. Community Education and Relations – providing education related to crime prevention, gang awareness, Safety Town and more. Park Facility Checks – ensuring that parks, facilities and structures are inspected for unsafe conditions and reported for repair. On an evening in early September 2006, Officer David White, a Naperville Park Police Officer, was ending his shift. However, before he did so, he drove through a nearby park to make one more check of the area. Upon doing so, he found a young man in distress and took action to save his life. For his actions, Officer White received the Park Police Life Saving Award. A local donor offered to start an annual fund that will award a $2,000 scholarship to a deserving college student who demonstrates a strong commitment to public service and community volunteerism. 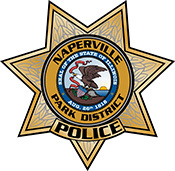 Naperville Park District Park Police have introduced a program to reward good works accomplished by visitors to our parks. In the event that a Park Police Officer witnesses a patron displaying exceptional behavior that helps protect or maintain one of our parks, the officer will reward the individual with a Belgio's or McDonald's gift card and letter of gratitude. Certain acts that may be rewarded include: picking up garbage, reporting suspicious activity, finding and returning lost items, etc. Rewarding patrons is left to the discretion of each officer.